Welcome to Sickels & Associates, Inc.
We are a leading civil engineering firm in Southern New Jersey, devoted exclusively to our region. With over 39 years of experience we continue to develop great relationships with the town we work with as well as our clients. These relationships allow us to finish our projects efficiently through our knowledge and expertise in this area. Our list of past and present clients include major corporations, major land developers, many municipalities and counties, NJDOT, N.J. Highway Authority, N.J. Turnpike Authority, many municipal utility authorities and also small businesses and individual land owners. You are always welcome and encouraged to visit our office to personally inspect our facilities and talk to our staff. Our dedication to South Jersey has played a positive role in the engineering and construction of numerous single home and cluster housing developments. 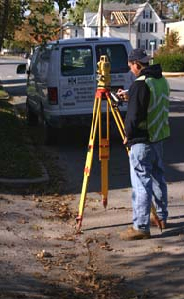 Our services include site planning, construction management, land survey, water and sewer facilities design, stormwater management and lake hydrology, soil erosion and sediment control. Careful attention to environmental elements enables us to preserve much of the natural beauty of South Jersey. At the same time we are all well aware of the need for a suitable return on investment for the developer. Our cost effective procedures and knowledge of South Jersey make it possible for us to be competitive, we strive to adhere to the established schedule for each project.